This book has been very frustrating. 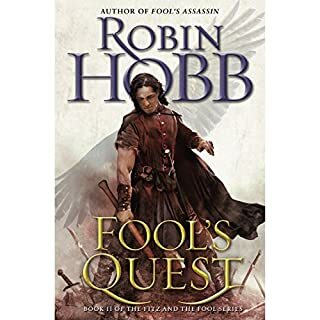 I've immensely enjoyed Hobb's Fitz/Fool and Live Ship Traders trilogies. I wanted to love this book. I've tried to love it. But there are two issues that I can't seem to ignore. First, the characters lack insight into their situations. The most glaring example is Fitz's inability to recognize the nature of his daughter, Bee. Second, the plot is often driven in a certain direction because the characters don't communicate basic information or they keep secrets unnecessarily.